The climate science historian and author says the companies that innovate to combat climate change will make fortunes and become heroes. She will speak at UT Arlington on Nov. 20. Oreskes is a professor of the history of science and affiliated professor of earth and planetary sciences a Harvard University. She’s well known for the 2004 essay, which has been cited by scientific and political leaders, the film An Inconvenient Truth, and publications like The New Yorker, USA Today, and National Geographic. Oreskes said she was inspired to conduct the study after seeing officials in the George W. Bush presidential administration claim that there was no scientific consensus on climate change. This falsehood, repeated often in the media, inspired Oreskes to begin her research, which determined that no scientific papers substantively disagreed that global warming was caused by an increase in greenhouse gases. “This proved what I suspected: that the so-called debate was a political debate masquerading as scientific disagreement,” she said. 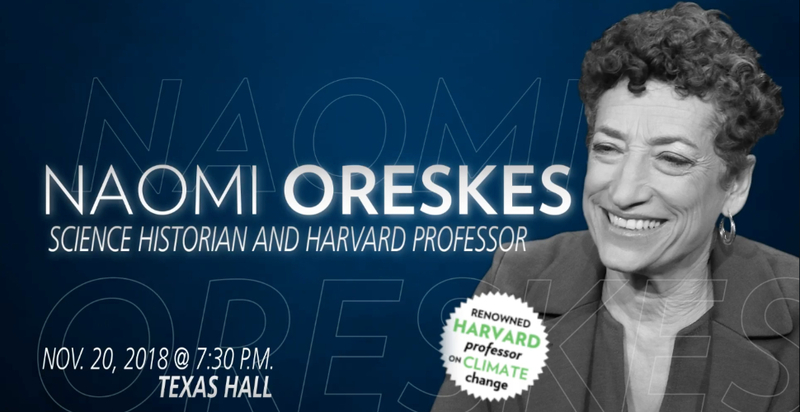 In anticipation of her appearance at University of Texas at Arlington, Oreskes tackled some misconceptions about climate change and challenged businesses to adopt innovative tactics to combat climate change. Oreskes will speak to attendees at University of Texas at Arlington’s Texas Hall at 7:30 p.m. on Tuesday, Nov. 20. Students and staff can attend for free. General admission is $5, and preferred admission is $35. Click here for more information and to purchase admission tickets. Tell me about yourself and your background as a science historian. What inspired you to pursue this field? I began my career as an exploration geologist, working in the Australian outback in the early 1980s. I became interested in why scientists had preferences about evidence—they liked some kinds of evidence more than others—even when they pointed to the same conclusion. That led to readings in philosophy of science, and from there to history of science. I wanted to understand where our preferences came from, particularly because in some cases those “preferences” can have the effect of acting as prejudices. 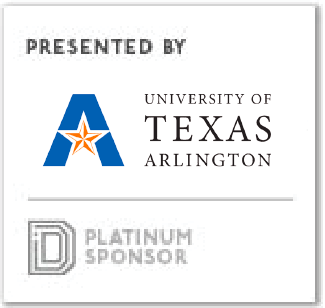 What can people expect to learn on Nov. 20 during your speaking event at UT Arlington? Ha! That’s an impossible question to answer because each person comes to a talk with a different perspective and background knowledge. But, I will be speaking about the ways in which political and social preferences have led many Americans to reject the very well-established scientific evidence that people have changed the climate, and it’s causing real harm, already, here and now. What can business leaders learn from The Scientific Consensus on Climate Change and your more recent research on the topic? What I’d like business leaders to know is that denying the science doesn’t make it go away. On the contrary, it makes the situation worse. We’ve now dithered and delayed on this issue, and now it is going to be a lot more difficult and expensive to fix. We can still fix it, but time is running out. We’ve lost 26 years—since 1992, when the science was essentially settled, and President George H.W. Bush promised to tackle the “greenhouse effect with the White House effect.” I’d also like business leaders to know that the scientific community is looking to them for leadership. We need to reject the continued politics of division and confusion that certain sectors of the business community are still pursuing, and focus on the technological innovation that will let us meet our energy needs without severe climate damage, and the efficient, market-based incentives we need to get that technology in a hurry. Because that is when we need it—in a real great hurry. What do North Texas businesses people need to know about climate change in the coming decades? I think the most important thing to know is that there is a huge opportunity in front of us to do well by doing good. Companies who innovate—in the areas of renewable energy, efficiency, energy storage, carbon storage, electric cars, smart grids, smart appliances, and many more things we haven’t yet thought of—have the potential to make fortunes and be national heroes at the same time. It’s a rare historic opportunity, but we also need the right policies to support technological innovation and risk-taking. I wrote about this issue. If history is a guide, the private sector will have trouble doing this alone. The business community should be supporting carbon pricing and the elimination of perverse subsidies for the fossil fuel industry. I know that is something some people in Texas don’t want to hear, but those who can hear and listen and act have a great opportunity in front of them. You assert that some segments of American industry, government and ideologically-motivated groups deny the science of climate change and the findings of scientists. Why the denial? Can these deniers find middle ground with scientists’ findings on climate change? To the first part of your question: it’s not an assertion. In our book and film, Merchants of Doubt, we showed this to be the case, with an extensive analysis of documents, advertisements, lobbying, and the like. To the second part: You’d have to ask them! But it is in the nature of denial to refuse to assimilate information that would force one to stop being in denial. How do you think your research and findings have affected industry, as well as efforts to quell global warming? I think a lot of American industry is playing a game of chicken: everyone is afraid to make the first move. But you don’t get to be successful in business by ignoring information, denying evidence, or rejecting facts. Businessmen and women understand the power and necessity of good information. So I think most of them understand that climate science is not a hoax, and that we are facing a very serious challenge. But, as I suggested in my recent New York Times op-ed, large scale innovation is risky, and it’s very hard to succeed without government support. The oil and gas industry had tremendous government support in their early years, and in fact, still do, long past the time when that was warranted. But, if you have a successful business, it’s hard to make the case for doing something radically different. And the companies of the future—who will be doing things radically differently—for the most part don’t yet exist, so they are not here to lobby for their cause. This means we need some visionaries, people who believe in the future, to make the case. So far, a few have tried, but it’s not been enough. A lot of people still think “if it ain’t broke, don’t fix it.” That’s good advice. But we have broken our climate system, and now we have to fix it. If anyone reading this thinks that scientists have exaggerated the threat that climate change is just not that serious, I published a paper a few years ago offering evidence that scientists were in fact understating the threat. We had evidence, for example, that sea level rise and Arctic ice loss were happening faster than predicted. Now, the new IPCC report, which got quite a bit of press attention a few weeks ago, has proved me correct. Climate change is happening faster than scientists predicted as recently as five years ago. Its effects on storms, on sea level, on droughts and agriculture, have been detected. They are serious and rapidly getting worse. Anyone who doubts this should read my book, The Collapse of Western Civilization. That book is exaggerated for effect (it’s a work of fiction) ,but sadly it is turning out to be less fictitious than we intended. Following 2017’s record year of billion-dollar disaster events, the National Science Foundation awarded two UTA political science professors a research grant to study and report findings on lessons learned and best practices from the response and recovery efforts in U.S. natural disasters. An industrial engineering team at the University of Texas at Arlington partners with global electronics manufacturer giant Foxconn to improve automation, data-driven solutions in manufacturing industry.